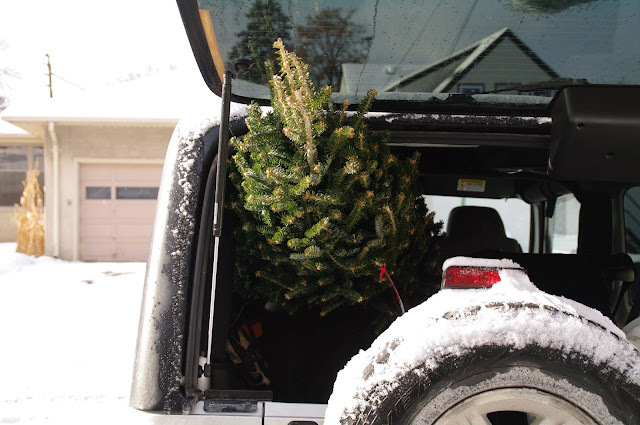 I was expecting to tie our tree to the roof of the Jeep. Dave had other ideas. No, sweetie. This is not our tree! The tree that we picked out, a much shorter tree, is the first tree that Dave and I have gotten in over a decade. But it is Bud's first tree and it is grand! It sure spread after we set it up in our tiny house. I thought we had agreed on a small tree and agreed that Moogy would make the final decision, but in the end, it was a family decision which is how I suppose our first tree should be. After bringing the tree home, we spent several hours trying to locate the lights and ornaments. There was less than I thought there would but more than enough for the tree. 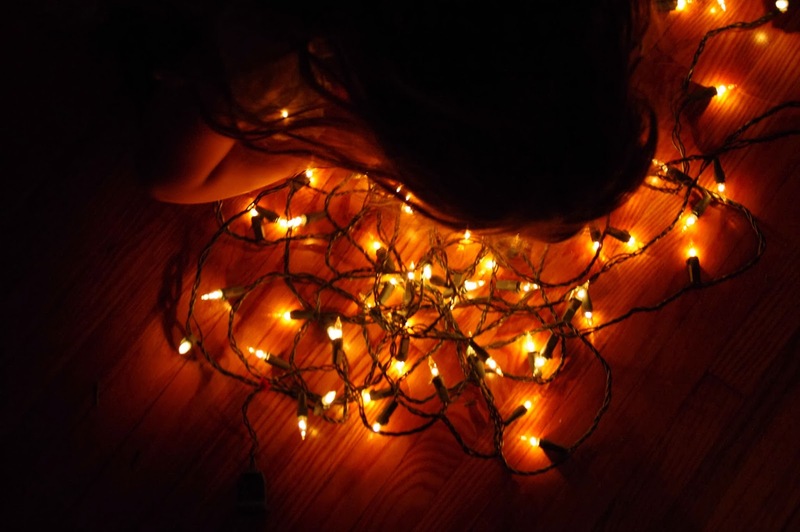 The experience of opening up the one little box of xmas tree goodies brought me back to my retail years, some twenty years past. When all was said and done, the tree trimmed and ornamented, I felt we had just that - a retail department store tree. Only one little ornament that reflected our family life together. Oh well. I guess we will have to search for a little memento ornament on our next road trip! Matt & I pick up an ornament or something we can turn into an ornament (like a keychain or such) on all our trips. It gives us a souvenir to shop for & we have a tree full of memories.